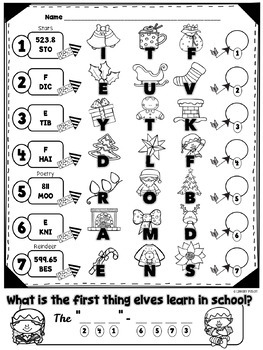 Call Number scavenger hunt + secret code decipher + silly riddle = ALL FUN!! Kids seem to need endless practice reading call numbers and using those call numbers to locate library books on the shelves!! 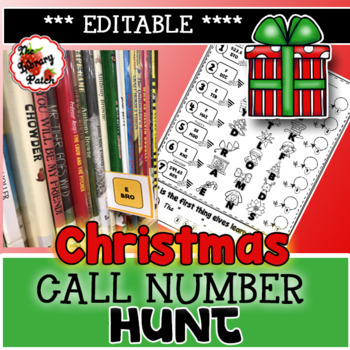 This call number hunt will have your kiddos locating a book on the shelves in the picture book, chapter book, and nonfiction sections of your elementary library! 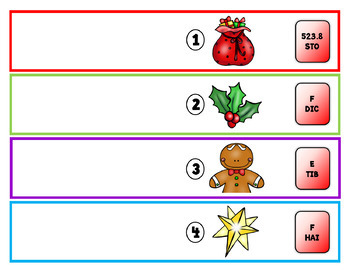 In this fun seasonal activity, students read call numbers, search for the call numbers on the shelf, and look for picture clues that will help solve fun Christmas riddles! A great review of a necessary skill in a creative way. Your kids will thank you for setting this up!